There is insufficient evidence on the relationship between air pollution and mortality from cardiovascular disease (CVD) in northeast China. Here, we explored the short-term effects of air pollution on CVD mortality and preliminarily investigated differences in population susceptibility to air pollution in Shenyang, China. CVD mortality, air pollution, and meteorological data during 2013–2016 were obtained. 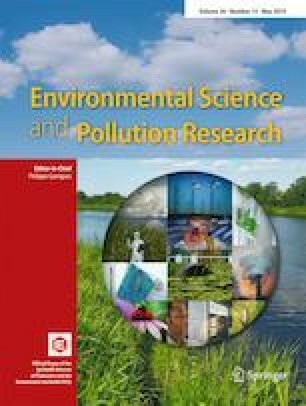 Time-series analysis was applied to evaluate the association between air pollution and daily CVD mortality with different lag structures. In the single-pollutant model, each 10 μg/m3 increase in PM2.5, PM10, SO2, NO2, and O3 concentrations and 1 mg/m3 increase in CO concentrations at lag0 (same day) was significantly associated with an increase of 0.40% (95% confidence interval, 0.22–0.59%), 0.26% (0.12–0.40%), 0.43% (0.16–0.70%), 0.90% (0.14–1.67%), 0.76% (0.21–1.32%), and 3.33% (0.97–5.75%), respectively, in overall CVD mortality. Susceptibility to air pollutants was higher among females, elderly people, and ischemic heart disease patients. Furthermore, air pollution effects on CVD mortality were 2–8 times greater during the non-heating period. In conclusion, the air pollutants PM2.5, PM10, SO2, NO2, O3, and CO showed significant positive effects on CVD mortality in Shenyang, China. These findings highlight the adverse effects of air pollution and suggest the need for personal protective equipment and reduction of air pollution sources. Mengyao Liu and Xiaoxia Xue contributed equally to this work. The online version of this article ( https://doi.org/10.1007/s11356-019-04960-2) contains supplementary material, which is available to authorized users. We wish to thank the China National Environmental Monitoring Center and the Mission China air quality–monitoring program of the USA for publicly sharing the air pollution data, as well as the Chinese Meteorological Data Sharing Service System for providing meteorology data. This study was supported by the National Key Research and Development Program of China (No. 2016YFC1302500). WHO.Ambient air pollution: health impacts2018.. [cited July 18th]; Available from: http://who.int/airpollution/ambient/health-impacts/en/. WHO.Cardiovascular disease: World Heart Day 2017 2018. [cited July 18th]; Available from: http://www.who.int/cardiovascular_diseases/en/. WHO.Global Urban Ambient Air Pollution Database (update 2016).2018. [cited July 18th]; Available from: http://www.who.int/phe/health_topics/outdoorair/databases/cities/en/.